Wee Moose in the Hoose' is a Scots book of numbers that will give endless amusement to bairns and adults alike. 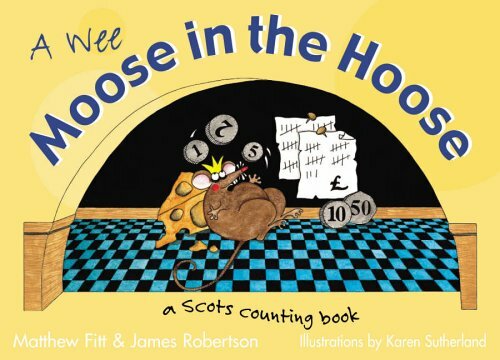 Matthew Fitt and James Robertson's rhyming couplets not only take you from 1 to 20, but also introduce you to native creatures by their traditional Scots names. Everybody knows what a coo is, but what about a hurtcheon or a hairy oobit? The rhymes are complemented by award-winning artist Karen Sutherland's warm and funny illustrations.